A former Defence procurement figure and current board member of one of the international tenderers for the SEA 5000 project has told the federal government to get on with the job and select a Future Frigates designer, while promising thousands of Australian jobs if his company is the successful contender. Warren King of Navantia Australia's board of directors and former head of the Defence Material Organisation (DMO), told the audience of the 2017 Defence Teaming Centre (DTC) Dinner and Awards Ceremony the government must act quickly on the $35 billion project to avoid another 'valley of death'. "To maximise our chance of success in continuous naval shipbuilding, we need to start as soon as possible," King said. "All of us in this room are aware that skilled workers at Osborne have been losing their jobs over the last year. Industry partners are also affected by what has been described as the ‘valley of death’. "We not only need to arrest the decline in the current workforce, but begin recruiting and building for the future ... If we are to smoothly stand this program up, we need to start building the workforce as soon as possible." King said Navantia's bid for the coveted project estimates it will deliver over 7,000 South Australian jobs and will work with over 200 SA companies. The former DMO leader did not directly address criticisms of the request for tender (RFT) document, which specifically told the foreign tenderers ASC Shipbuilding and its workforce does not have to be used in the project. Austal and ASC Shipbuilding teamed up earlier this year to offer their combined experience and resources to whichever company is successful in winning the contract, but their involvement is looking increasingly unlikely. King instead alluded to the risk of delays to the active tender process, which key senators have told the government to scrap and start again. "Any delays to the program from here will only have the effect of eroding industry capability and increasing the start-up risks of the Future Frigate program," King said. Navantia is banking on its experience in Australian shipbuilding from the Air Warfare Destroyer (AWD) project to enhance its bid for this project, with King explaining at the DTC Dinner and Awards Ceremony the company's bid for the project is based on a design of the AWDs. 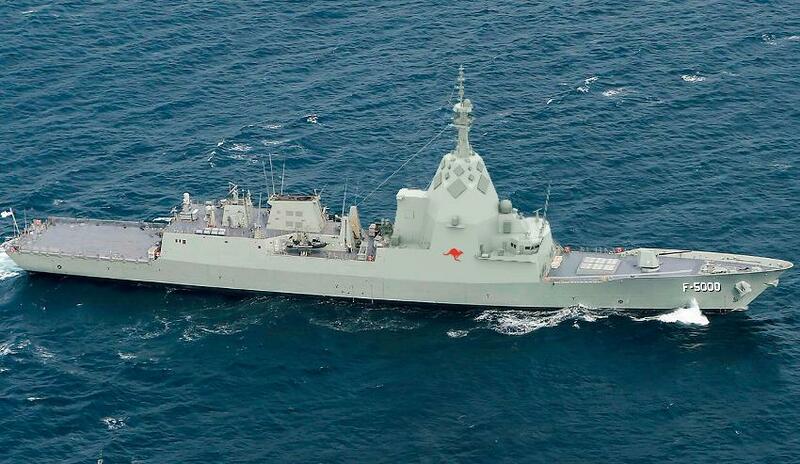 "Navantia Australia is ready to begin work on delivering Australia’s future frigate," he said. "Our design is based on a vessel which has already been built in Australia, including the participation of many of you in this room." The nine future frigate vessels are scheduled to begin construction in Adelaide in 2020. UK firm BAE Systems, Italy's Fincantieri and Spanish shipbuilder Navantia are all tendering to win the contract to design, build and sustain nine new anti-submarine warfare frigates to replace Australia's Anzac frigate fleet.